The majority of credit card users can get the best use of their credit cards by making savvy choices that save money and improve their credit score. Below is some sound advice and consumer tips with tools to get the best card usage. Credit cards come with advantages and disadvantages just like all other forms of credit such as bank loans, mortgages, and personal loans. Having a credit card was primarily a sign of status many decades ago. Today, it can be a necessity in some circumstances in addition to the convenience of its use. On the flip side, credit card debt can be a financial nightmare if used improperly. To use a credit card appropriately, it should be considered as a financial tool, not a jackpot. Do not max out the limit. This practice is sure to cause more debt and increase the risk of higher payments which the debtor cannot afford. Letting others habitually use the card. Even with a “pretty please” this is not a wise decision since it can lead to out of control spending and damaged relationships. Paying only the minimum due. The minimum payment covers mostly the interest; paying off the principal balance can take years. Late or missed payments. Payments must be made on time every month, even if only the minimum payment. Late payments can stay on a credit report for up to seven years. Using a credit card to make a payment on another credit card. With the exception of getting a lower interest card or loan to consolidate and pay off all other cards, paying debt by making debt is not a wise choice. This can start an endless cycle of financial burden that is almost impossible to escape. How to use a credit card to its best advantage does not have to be a guessing game. A well thought-out consistent strategy is a sure way to win when it comes to maintaining good credit. The main thing is for consumers to use credit cards as tools, not let their cards control them in the form of frivolous purchases. Weekly or bi-weekly payments lower balances. However, consumers should be careful to keep up with the actual due date and make the payments on time even if other payments have been made during the month. Ask the card company about their process for handling multiple payments in a month. The optimal ratio of credit card usage to available credit is 10 to 30 percent. Requesting a raise in the credit limit (and not using the increase) will lower this utilization ratio. Paying off the entire balance of the card on time each month is an exceptional way to boost credit. Taking advantage of credit cards that offer rewards to make purchases without interest, get cash, or save money on travel and retail items. The risk of credit fraud can be lowered by not giving out card numbers to unfamiliar companies, watching the card carefully during a transaction, and not leaving the card at a retailer, restaurant or other establishment. People who are trying to start building credit should begin with credit cards that have low limits, usually $1500 or less. This will make it easier to pay off the balance each month and control spending. Consumers can put in a request for the credit card company to not automatically raise their credit limit to avoid the temptation of overspending. Below is more information about credit cards. For those who already know the answers, it never hurts to repeat and refresh when it comes to financial matters. True or false. Cardholders should let the issuer know of their travel plans. When do card issuers report the balance owed on a credit card? A good financial rule is to use credit cards for what purpose(s)? The concept of borrowing and lending goes back to the beginning of time. But credit cards in various forms date from relatively recent history. In the United States, individual companies and hotels began issuing cards for their companies during the 1920’s. In 1950 the first universal card was introduced. It was the Diners’ Club Card and was the first of its kind that could be used at different establishments. The bank credit card system was innovated so that banks can credit merchant accounts as their sales slips are received. The bank bills the cardholder the amount of the transaction plus interest. The first system was used by BankAmericard in 1958. 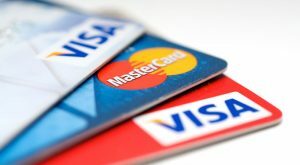 All credit cards are the same size (3.375”x 2.125”) to comply with the International Organization for Standardization (ISO), an association that sets standards for popular products worldwide. The size of credit cards was introduced in 2003 so that they would be accepted globally in the same marketplaces. It is true that credit card issuers prefer to know when a card member is traveling, especially internationally, because the risk for fraud is greater and also to counteract the differences with card processing that could result in a decline of a purchase or service. Credit card issuers report balances on the same day of the month of their choosing. Since this day usually doesn’t happen on the due date, it can appear that the consumer has a balance owed when they don’t, so it helps to ask the company of their date and request the due date to be changed to coincide with the reporting. Credit cards should be used substantially for needs and not wants. Emergency situations such as bills that the consumer will have money to pay for later in the month are valid reasons. 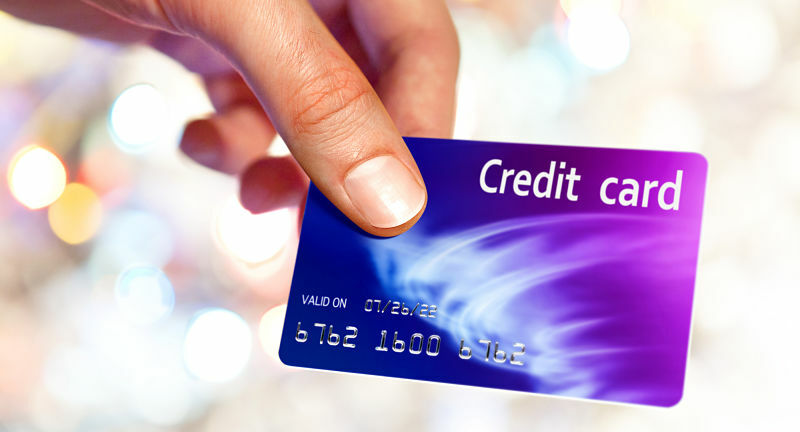 Some people consider credit cards as temporary loans to themselves with full payment made by its due date. A one-word answer to how to use credit cards is, “responsibly”. A few details of what that means is never missing a payment and paying off the whole balance each month. It means to not max out the entire card limit-using 10 to no more than 30 percent is recommended. The responsible consumer avoids being tempted by lower prices on merchandise or gifts for opening an account they don’t need. The greater gift is less debt, less stress, and a higher credit score. A free t-shirt or pizza can’t top that!